at the second Brain Tumour Research Showcase at Birmingham Medical Centre. Staged by Professor Andrew Peet and his dedicated team of scientists. talent competition in St Martins. Once again a Great BIG thankyou to all at Love2Dance for raising a BRILLIANT!! £703.15p for Brain Tumour Research. over the 2017 season, very well done to you all. Chloe Hewitt from Strictly opens the new Branch. for raising a Fantastic £270.75p from their raffle held at last months open day. 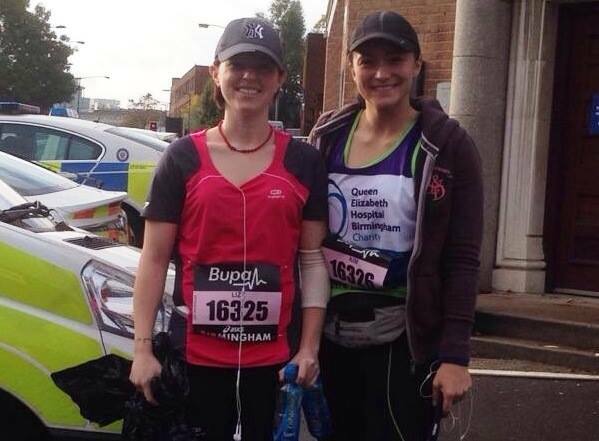 Thanks for supporting Brain Tumour Research. from our bucket collection on the day.He was just BRILLIANT!!! to everyone at Love2Dance Chirk. for raising an amazing £1010.16p for Brain Tumour Research. to recieve a share of the dance groups fundraising events over the summer months. Sponsor forms are NOW AVAILABLE!!! For a full details of this event please click above on our 2016 page. 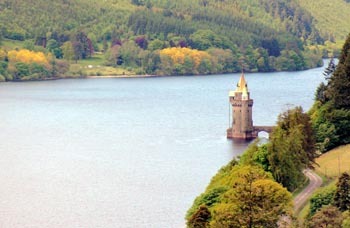 The stunning location at Lake Vyrnwy. 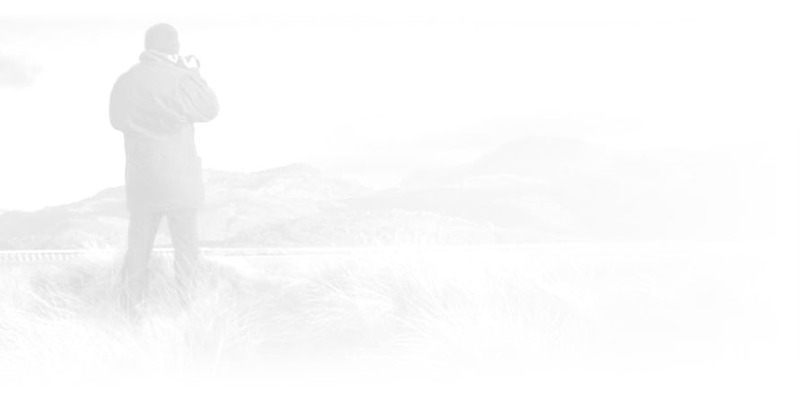 We now have a link to our easyfundraising page (see above right). and they'll give us a donation every time you buy	something, at no extra cost. Please click the link and set up your own free fundraising account. when the gift aid is added. Yes the sun does sometimes shine in Wales. Very well done to everyone who took part to make it such a great day. Very well done. Hope your hair gets back to its normal colour soon. LOL. 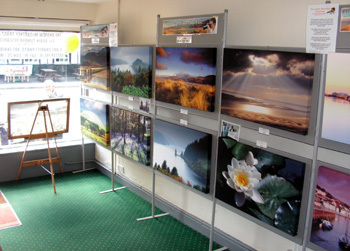 at this years annual Exhibition. Cards, Prints and Canvas Prints. for their support in allowing us a table at this super event. 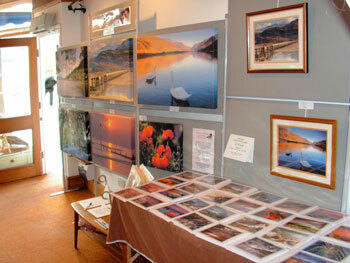 will be at Aberdovey Summer Craft Fair on 26th July. 9th August & 23rd August. all to raise funds for Brain Tumour Research. Birmingham Children's hospital and University of Birmingham. 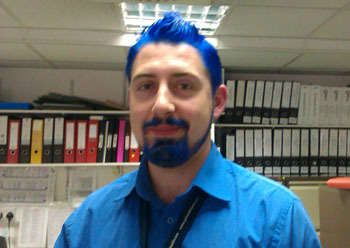 so has dyed his hair & beard blue to raise funds. Well done Ben, hope you don't scare the children LOL. record 48 walkers taking part. make the such a successful day. Eddie,Jerry, Dave, Mike, Stan, Ian, Paul, Jeff, June, Margaret, Jackie,& Lou. They look good enough to eat & raised a brilliant £82.00. both have a dedicated page. Easter Friday18th, Saturday 19th,Sunday 20th & Monday 21st April. 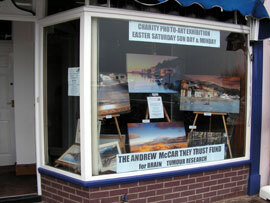 support our Charity Exhibitionin at Bala over Easter. which is one of the least funded areas of Cancer Research. Check our reseach page for a new update. Click on our Research page above to view. In Birmingham & raising a fantastic £350.00. A big thank you to David and his supporters. OUR THANKS FOR £133.00 DONATED FROM THIS YEARS RAFFLE. DETAILS OF FINAL AMOUNT RAISED!!! AND THAT INCLUDED 2 STOPS ON THE WAY, WOW!! WHAT WOULD WE HAVE DONE WITHOUT THEM ? ?